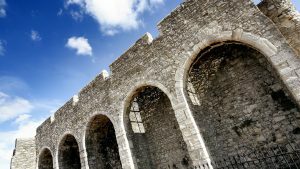 However long or short your stay in Hampshire and whether it’s for business or pleasure, we want you to be as comfortable as possible. After a busy day’s sightseeing in Hampshire, or a stressful day at the office, relax in comfort and style at The Mercure Southampton Centre Dolphin Hotel. Our bedrooms are designed with your comfort in mind and are well equipped to suit both business and leisure guests. All of our bedrooms are en suite and include those little touches that make for a more enjoyable stay. Incorporating hospitality tray, writing desk, modem point, FREE WiFi, LCD televisions with Freeview. All bathrooms have large fluffy bath sheet towels and luxury toiletries. All of our double/twin bedrooms are elegantly styled, and due to the age of the building, individual in shape and size. Some have features dating back over 100’s of years. Ask for a ‘Lane’ room to be able to experience one of the old stables from when the hotel was a famous Coaching Inn. Our Family rooms offer King Size beds and a sofa bed which can comfortably sleep 2 children or if you’d just prefer more a little more space these make the perfect room. Our Privilege Rooms have all been designed with you in mind whilst maintaining the hotel’s charm and elegance. 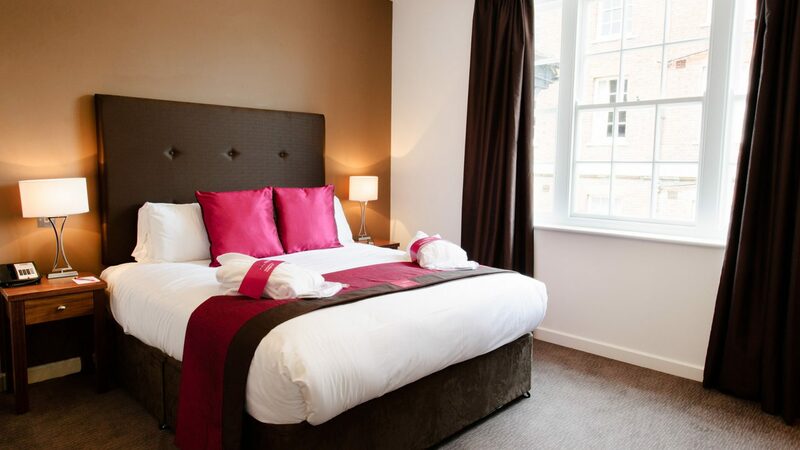 These superior rooms have lots to offer such as bath robes & slippers, a mini fridge with complimentary refreshments, Nespresso Machine, newspapers & magazines, upgraded toiletries plus everything you’d expect from our standard bedrooms. Two of our Privilege rooms make for the perfect Bridal room with four poster beds or if you are just looking for that something different. Each room is available with room service but if you are fancying making the most of your stay with us we have our stunning award winning Signature Restaurant awaiting your pleasure. The heart and soul of the hotel. You will find cosy corners and intimate areas in our Nelson’s Bar. It’s the perfect spot in Southampton to meet work colleagues or clients and enjoy a tea or coffee with free WiFi, helping you to clinch that deal. Offering a range of local ales, craft beers, fine wines, gins, whiskies and cognacs. You can relax with a newspaper and unwind or enjoy a cocktail created by our bartenders. A full range of classics, aromatics, herbal and fruit infusion teas can also be ordered. All Teas and coffees are served with biscuits and are available decaffeinated. 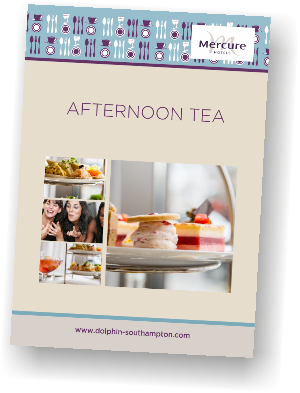 Why not book an afternoon Tea? There is something very special about having breakfast in a hotel, we aim to make this experience something to remember. Open for hotel guests and the public alike. Breakfast is served within our Signature Restaurant with the same exacting standards. Choose from our full English buffet, with everything from sausages and bacon, to grilled tomatoes, hash browns, black pudding and eggs just the way you like them. We also have the option of a full continental breakfast and if you want a lighter option, help yourself to our fully stocked cereal section, which includes a variety of fresh fruit, yoghurt, and unlimited juices. If you have any particular dietary requirements please let us know at time of booking. Sometimes you just want to relax in your bedroom or complete some work without distraction. Our Room Service menu offers the flexibility to reward yourself and enjoy a tasty breakfast, lunch, dinner or snack in the comfort of your own room.